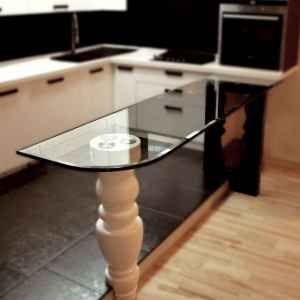 The glass countertops - this is an excellent design solution that combines the ease of use and unique design. 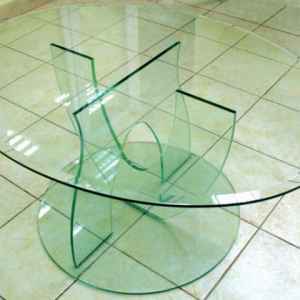 Glass products for kitchen are often more demanding, as their operating environment is quite aggressive, contributing to rapid wear and aging of materials. 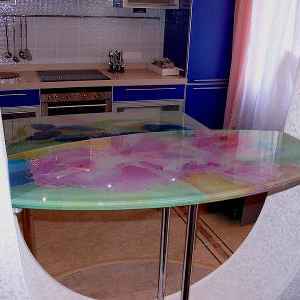 Glass countertops can decorate ceramic ink, which grilled in surface during glass tempering and become resistant to any chemical damage, detergents, as well as moisture. 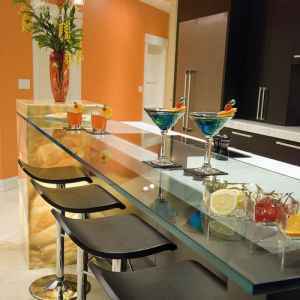 The glass bar counters - a reliable practical design with glass top, whose height from the floor to tabletops are usually in the range of 110 cm very harmoniously bar looks with high chairs or stools designed for the assembly of bar counters. 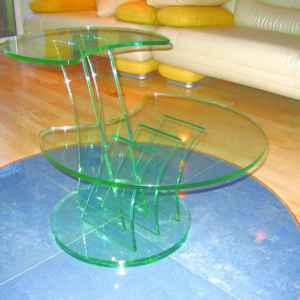 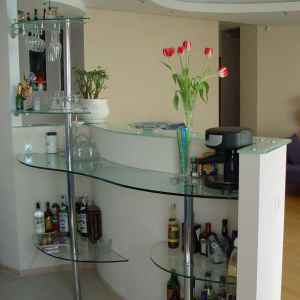 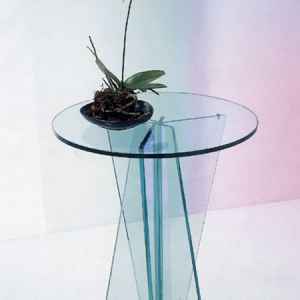 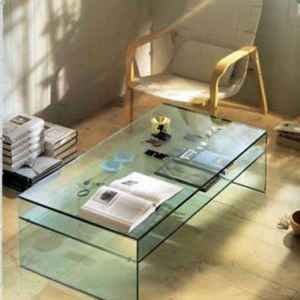 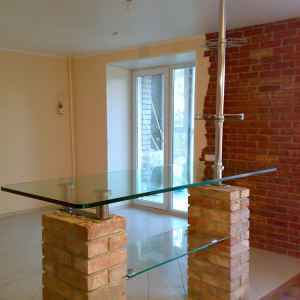 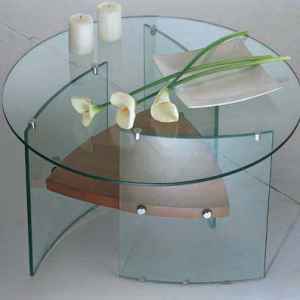 Glass bar is ideal for your interior, if you want to build a small room. 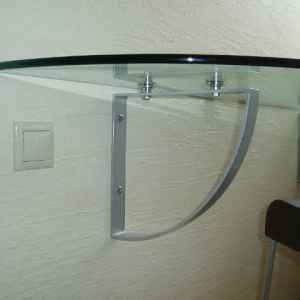 Table top of the bar counter may be about transparent, matt, as well as decorated with photo printing.